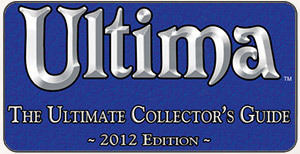 Ultima Forever, Dark Age of Camelot Updates, a Sign of UO’s Future? Less than a week ago, Ultima Forever, a website devoted to the Ultima franchise was launched. On top of that, the Ultima Underworld games were launched through Good Old Games. These two things were a big boost for raising awareness of the Ultima franchise, with the Ultima Forever website even featuring Ultima Online. * New Player Experience expanding to include dungeon/mob changes, plus starting off in existing cities, with interaction from veteran players. * Looking to increasing activity in other towns that aren’t New Magincia. * Going forward, steady flow/work on bugs rather than the start-stop work we’ve seen. * A little discussion of the artwork update. That’s all good for UO – a better/more organized video, Ultima Forever, Ultima Underworlds on GOG.com. Very good. While we UO players feel very neglected by Electronic Arts at times, or feel that we are isolated, there is another group of MMO players with whom we should be commiserating with – Dark Age of Camelot. They’ve suffered through staff reductions just the same as UO has, they’ve suffered from being ignored or pushed off to the side, at least in our minds. Guess what’s happening with DAoC? Quite a bit. 1) “New User Journey” which sounds an awful like what the UO devs are trying to do with the New Player Experience. 3) A DAoC wiki that will be filled by players. 4) Some kind of player transfers. The thing that gets me the most is that they are getting a new website. 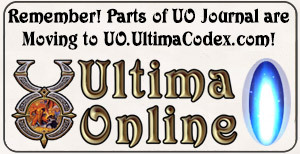 Look at the official Ultima Online website. Now look at the Ultima Forever website. One of these websites looks like an Ultima website. The other looks like a generic fantasy website with “Ultima Online” slapped on it. I’ll leave it up to you to decide. I just know that it would be a shame if the UO developers put a lot of effort into new player experiences and artwork updates, only to greet potential new players with the travesty that is the UOHerald.com. I hope with the attention being given to the Ultima franchise and with two of DAoC’s major updates revolving around a website, with another being a new player experience, that UO will also get a similar website facelift.